Batman: The Brave & The Bold was a great cartoon from a few years ago that went under the radar for it's more kid friendly approach to the Dark Knight but it really was very good. That version of Batman is making his triumphant return and he is doing it with Scooby-Doo himself. 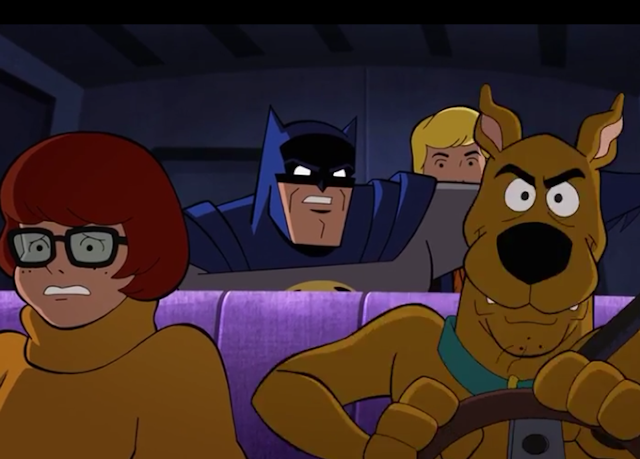 That's right the Scooby gang and Batman, along with the Justice League are teaming up for an animated adventure to solve a great mystery together. It's going to take the power of the super heroes and the wit of the Scooby gang to solve the crime! This should be a fun movie when Scooby-Doo & Batman: The Brave & The Bold arrives on DVD and Digital on January 9, 2018.